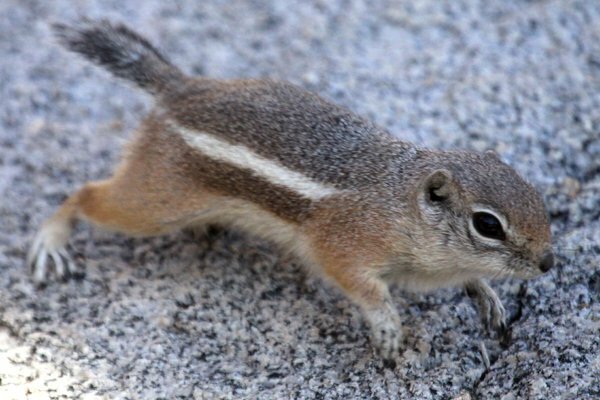 While eating lunch with Daisy and her family at a picnic area in Joshua Tree National Park the other day a small chipmunk-looking creature ventured out of the rock formation we were eating next to. The cute little critter was clearly looking for a handout which we did not provide. Nonetheless, it stuck around, hoping perhaps that one of the four kids aged six and under would drop some of their lunch accidentally. It didn’t get any food but it was immortalized in photographs which I used to identify it. 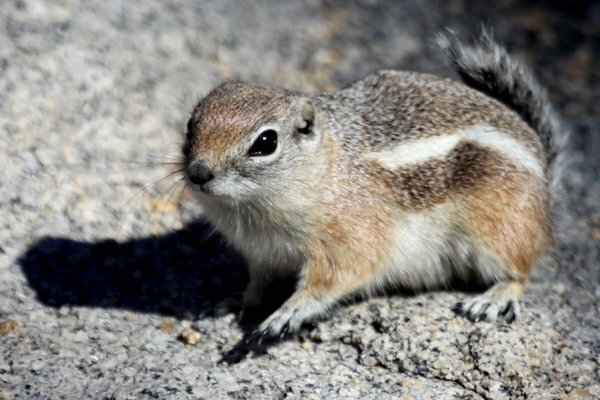 The White-tailed Antelope Squirrel, sometimes referred to as the White-tailed Ground Squirrel or the Antelope Chipmunk, is the rare diurnal mammal in the deserts of the southwestern United States. 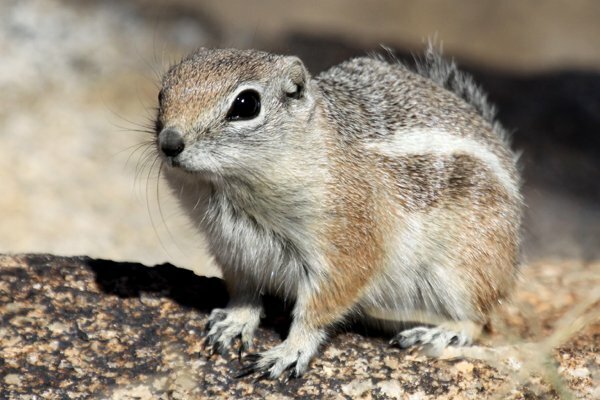 Ammospermophilus leucurus manages the trick of staying active during the heat of the desert day via both physical and behavioral adaptations. The tail, which is actually only white on the underside, is held over its back for use as a sunshade. Individuals will also press their chest against ground in the shade in order to cool off from the heat of the day. 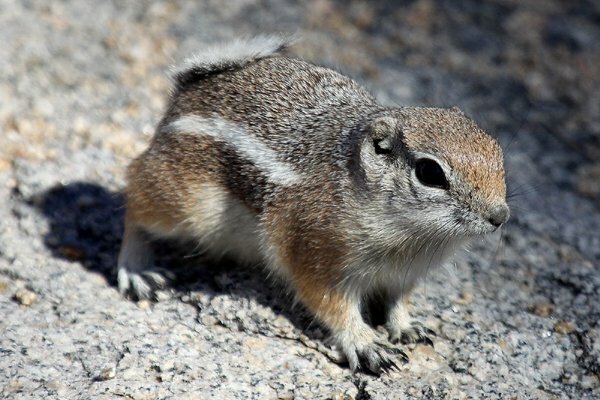 Amazingly for such a small creature it can tolerate body temperatures more than five degrees Celsius above normal without suffering ill effects, an adaptation that certainly helps it forage above ground for extended periods during the day before returning to its burrow to cool off. 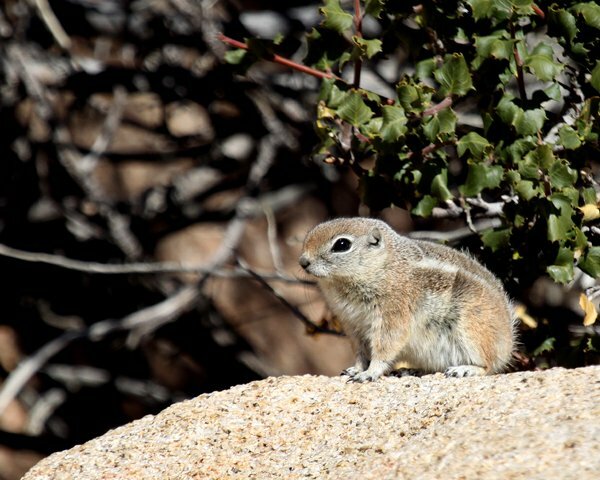 It seems likely that the squirrels we saw are of the nominate subspecies, seeing as Merriam described the species from a specimen taken in Riverside County, California, not far from Joshua Tree National Park. * The other subspecies range from the southern end of Baja California north into Idaho and Oregon but never east of the Colorado River. 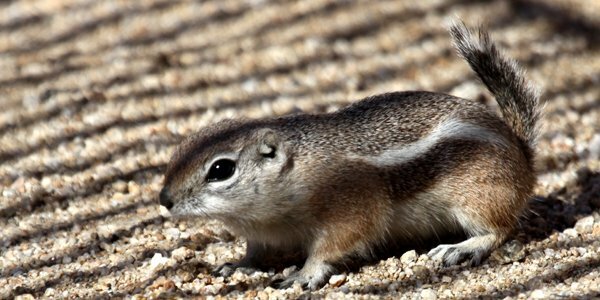 White-tailed Antelope Squirrels are endearing little squirrels and it is well worth making their acquaintance. Check ’em out if you get a chance! *Though he used the genus Tamias. It was Mearns in 1907 who first called it Ammospermophilus leucurus. I hope you liked these shots of White-tailed Antelope Squirrels. If you want to see more great galleries of mammals (and, of course, birds) check out 10,000 Clicks, our big and growing collection of gallery posts! Very beautiful squirrel, very good pictures. Thanks for taking them and sharing. Sorry, should have mentioned location: Picacho Peak, near Marana, Arizona.